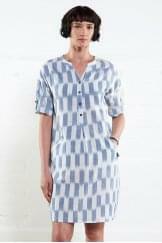 This Folk Tunic Dress from Nomads Clothing will instantly become your go to this winter. 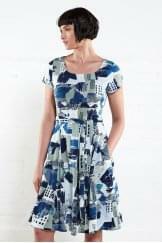 Flattering scoop neckline with 3/4 sleeves and handy front pockets make this dress feminine and practical. Wear over any of our basic Tops and leggings to keep snug this winter.